Suitability: This activity is adaptable to many levels. It works well with preschoolers through adults and is particularly suited for mixed ages or parent/child workshops. With small changes, it can be used one-on-one with an infant and adult or an adult with a two or three toddlers. Socially by working with others. Physically by using gross and fine motor skills and by positioning objects and their bodies in space. Emotionally by identifying their own feelings. Intellectually by working with size, distance, counting, and exploring cause and effect. Linguistically by talking, reading, singing, and writing about their experiences. Creatively by making their own choices of how to express what they are learning. 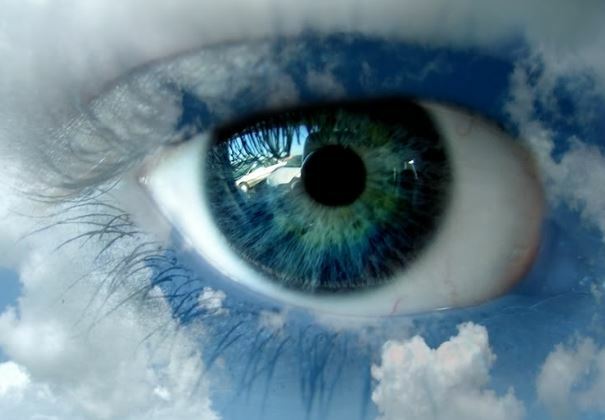 Perceptually by making meaning of sensory stimuli. Artistically by using the elements of and applying the skills of visual art, music, dance, and drama. Provide the stimulus: On a cloudy day take the children outside and look up at the clouds. If possible, lie down on your backs. But standing up is fine too. Hold an infant in your arms and point up at the sky. The important thing is to be outside and look long distances to develop distance vision. Imitate their actions: When they point to something, mirror them. Give feedback: Point to it and draw others attention to it. Be quiet and let the children share the experience of the clouds. Take plenty of time to allow children to sustain their focus. If children become distracted, draw them back with a question. Add deep meaning: Follow up the experience to enrich it: Go out at different times of day and check for changes. Go out on a foggy day or a fine drizzle, and talk about how you are inside a cloud. 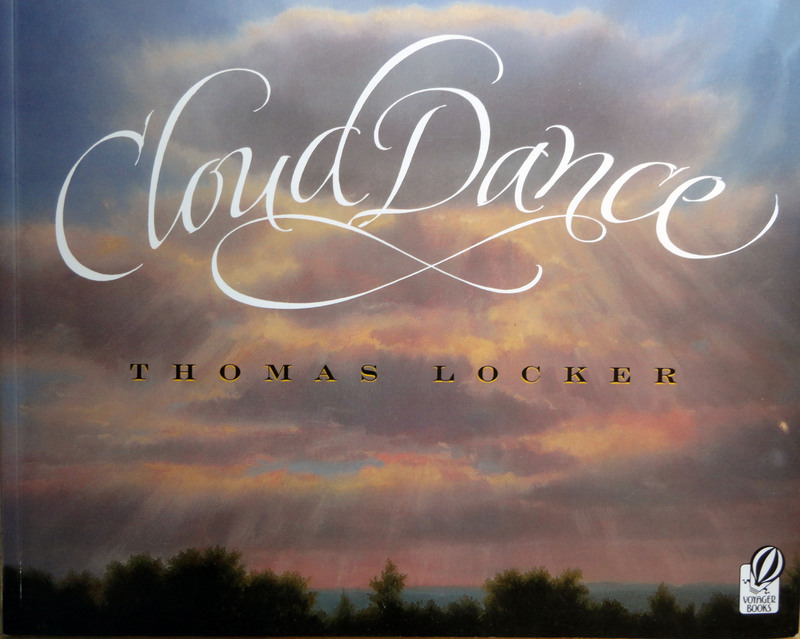 Ask: “How does it feel on your skin?” “How does it smell?” “How does it taste?” “What can you see?” “What can you hear?” Read The Cloud Book by Tommie de Paola and Cloud Dance by Thomas Locker. Make a list of words that describe clouds. Use the list to create a simple poem as illustrated. 1. Cloud sounds Go outside on a windy day. “If clouds are moving fast across the sky what sounds do we hear?” Make wind sounds. Establish hand signals for louder and softer, faster and slower, higher and lower. Conduct the group in making wind music. Let children take turns conducting the group. Extend this activity byadding rhythm instruments and making paper cloud stick puppets as follows and moving them to the music. 2. Tissue paper “clouds” Provide small squares of tissue paper about 8″ by 8.” For older children provide straws for blowing. Encourage children to explore the tissue using sensory questions: “How does it feel, smell, sound, move, look?” “How does it change if you crumble it up?” “What happens if you blow it?” “How is the same as a cloud?” “How is it different?” As you ask your questions point to the tissue balls to focus attention. Extension: Have children make more balls and put them in the sensory bin or encourage children to build from blocks or to draw (upper levels) mazes and using straws try to blow the “cloud” through the maze. 3. Cloud stick puppets/dancing props Attach the tissue ball to the top of a straw using scotch tape. 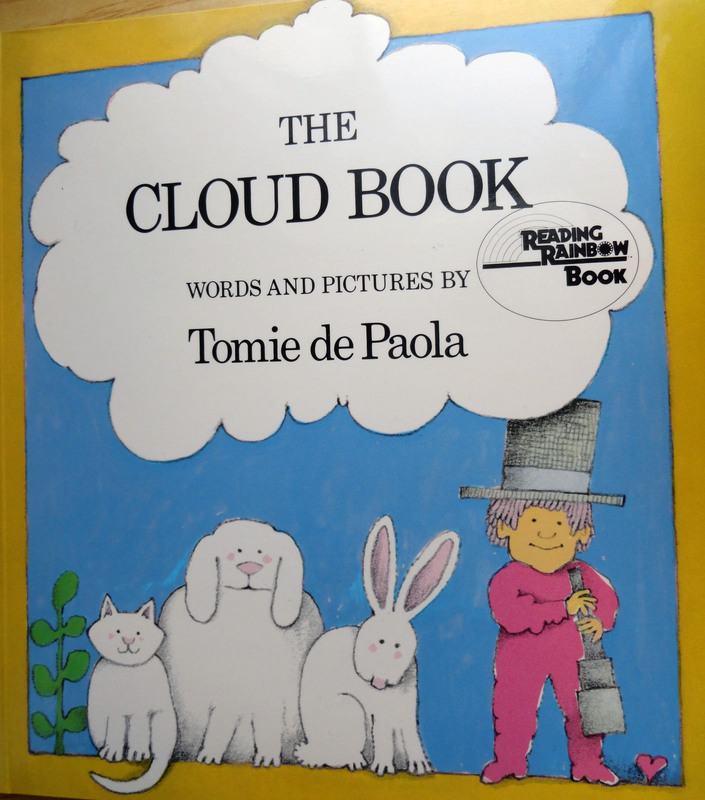 Have children explore how their cloud will move. Holding their cloud puppet as a prop have them dance like clouds to “cloud” music of your choice. Music that relates well to cloud dancing are selections from The Grand Canyon Suite. Extension: Take the puppets outside and explore the shadows they make. Look for cloud shadows and try to stand in them. 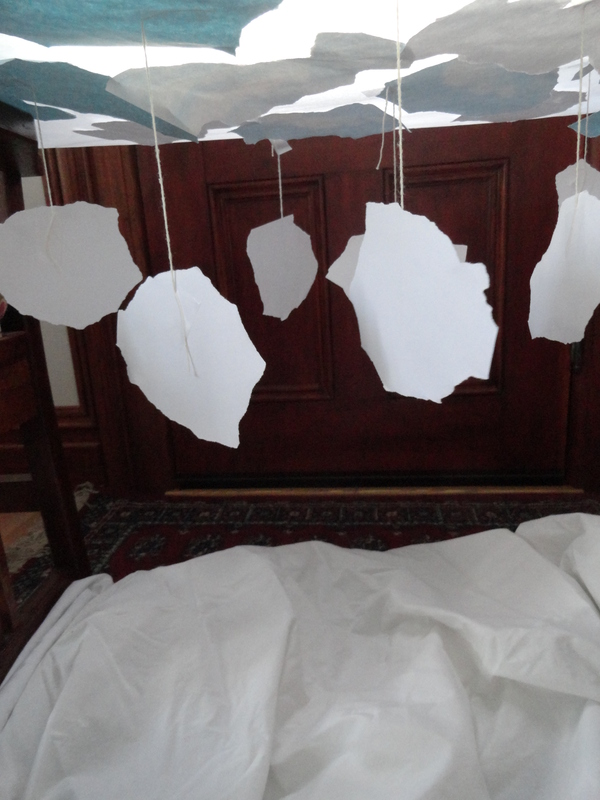 Inside provide flashlights and make cloud shadows and shadow puppet shows for each other. 4. Cloud songs Select a familiar tune and make up words. 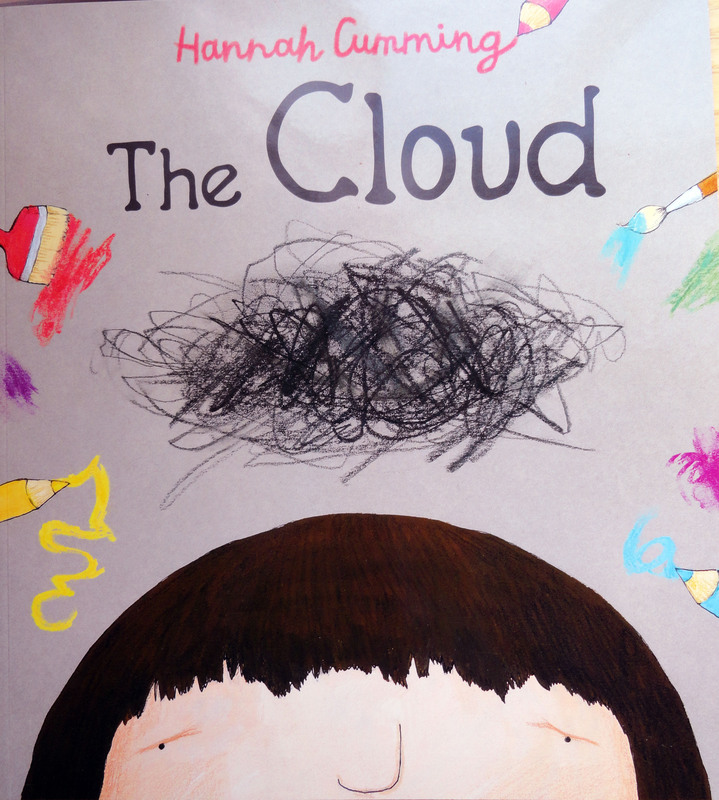 Extend this activity by using cloud stick puppets to act out the actions of the cloud song. Here is an example based on Mary Has a Little Lamb. I have a little cloud, little cloud, little cloud. I have a little cloud ___________________ [Have children complete the words i.e. floating to and fro or dancing up and down, and it’s white and cold, etc. 5. Cloud Flip Mural Read Eric Carle’s Little Cloud. Go outside and see if you can see different things in the clouds. Discuss how clouds can be all kinds of shapes. Give out two sheets of paper one small and one large. These can be white or cloud colors of your choice. Have children compare the sizes. Then have them cut out a cloud shape from each. Challenge older children by having them tear out the shapes. Ask: “Is one cloud bigger?” “Why or why not?” “Could you make other sizes from the left over pieces?” Add more math by having them put their clouds in size order, and count how many clouds the class made using multiples in the upper grades. 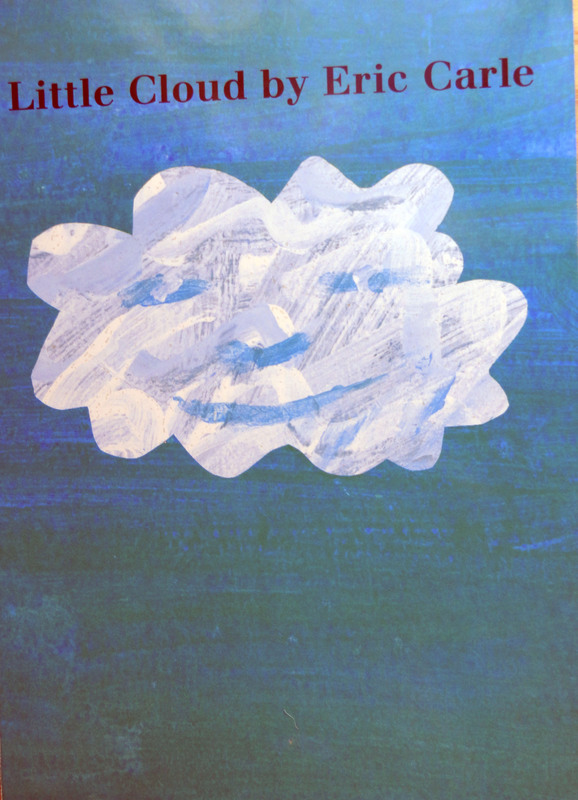 Have children take turns gluing their larger clouds to a long sheet of paper – this can be white, painted in sky colors by the children, or be a long piece of tracing paper. The translucence of tracing paper creates a glowing sky effect. Attach a string to the smaller clouds using scotch tape. Tape these to the mural. NOW: Take the two ends and flip it over. The clouds on strings will hang down. Suspend it between two tables by taping each end to the edge. Put fluffy pillows underneath and create a place for children to curl up with a book and dream or count clouds. 7. Cloud Stories Invent stories about clouds. A good example is The Cloud Spinner by Michael Catchpool in which a little boy spins cloth from the clouds. What other cloud activities can you think of to deepen the learning?